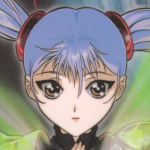 Welcome to my supah ultra C3 thread. This time I'll be showing off a hack and a patch. yup, the same stuff from 6 months ago. 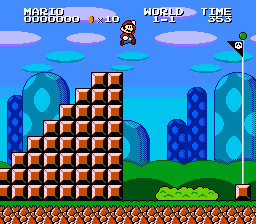 This is a chocolate SMW hack centred around the NES era of Mario. However, it takes advantage of SNES's capabilities like faster processor (obviously), 4 layers, more audio channels, etc. 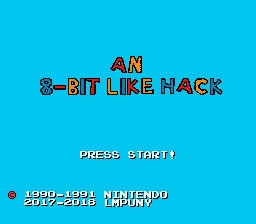 It is not centered totally around the nostalgia factor, and I try to bring modern elements (like midway flags and star coins) into this 8-bit like hack (well, pseudo 8-bit). You may have noticed that, clearly, it's more finished than last C3. Note: here I'll talk about everything but the title screen and overworld. -It's finished up to 1-Fortress, compared to the last version being finished to the half of 1-2. 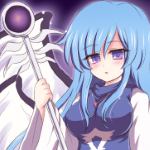 -A better palette has been used, which is more colorful and less palid than the old one. -A better triangle wave sample is being used. Credit to Pinci for ripping it, he's a very good porter. 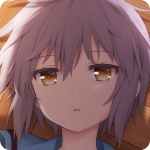 -Underground's theme, both short (bonus areas accesed by pipes) and long (1-2) versions, have been updated. Mainly the triangle percussion has been redone. -Coins collected from blocks have got an special effect. 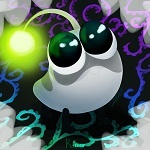 -Coins can be collected with thrown shells and ice blocks. Originally they couldn't. This was also applied to Star Coins. -Sound engine is more accurate to NES games's sound drivers. -Bugs fixed, like game crash when throwing a shell/ice block out of screen's borders. This is a patch for SMW, to be patched with asar! yay! 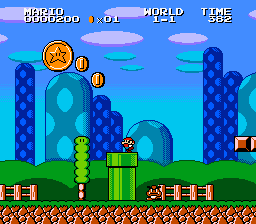 It expands SMW's Item Memory capabilities by rewriting it to make a new format that doesn't record the tiles by X position and subscreen division, but X and Y position, so no more collecting a single coin in a coin column, leaving the room, coming back and half of the coin column gone. 08/07/2018 warning: Just found some bugs on it so I'll be trying to fix them. The work put into making this hack feel "8-bit" is really impressive and it shows. I enjoyed playing the previous demo so I look forward to seeing the differences in action with this one. Also my only feedback with this is a small one. 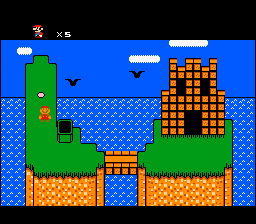 I know the hack is far from finished but have you thought about using an overworld map like the one found in SMBDX ? I am sure you could tweak and edit the tiles to your liking? Yes, I thought in using that style. 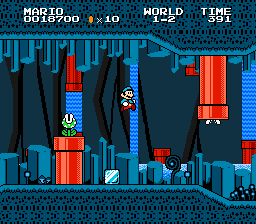 I'm using the SMB-like overworld found in the Graphics section and, in fact, the Layer 3 is styled after SMBDX's. I'm glad your still working on this. Lovely little Demo you've got going here, already it feels quite refined and enjoyable, I especially loved your boss. I'd say the overworld needs some work, but I'm sure that's not a priority rn lol. Item memory + seems like it could be useful too. I'm still impressed how much you polished this hack, you definitely breathe, eat and sleep with ASM. You have drawn so much attention with this hack, and I'm sure this gonna be some of the best hacks in the existence. SMWC and your friends have all the hopes on you. Short but sweet. I didn't say anything about this last C3 but this time I am. The amount of detail put into this hack is amazing. It controls really well and the levels feel just right. As far as the gameplay is concerned, I can't find anything to complain about. The overworld is very impressive but it feels a bit janky. The walking animation is weird and some tiles don't have sensible solidity. It might be a good idea to give higher priority to some tiles (such as the fortress) or otherwise just find some way of adding more elevation to it. I'm honestly indifferent about the item memory patch. It's not an issue I've personally run into while designing levels but it sounds like it could be quite useful for the good level designers. Are they going to have airship levels in the full hack your working on? you definitely breathe, eat and sleep with ASM. Thanks for your commentary about the overworld, while this overworld and GFX were only for the demo (except the isometric Mario) it's still nice to hear that. 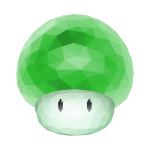 It was the only isometric Mario sprite I found, credit to Mad Nyle (the "enter level" pose comes from another sheet I can't remember), because I'm kinda bad at drawing. The only thing I can do now is to replace the horizontal standing frame with SMB's original. You're not supposed to open it in Lunar Magic.